If you're looking to send a special gift with a little extra style then look no further! 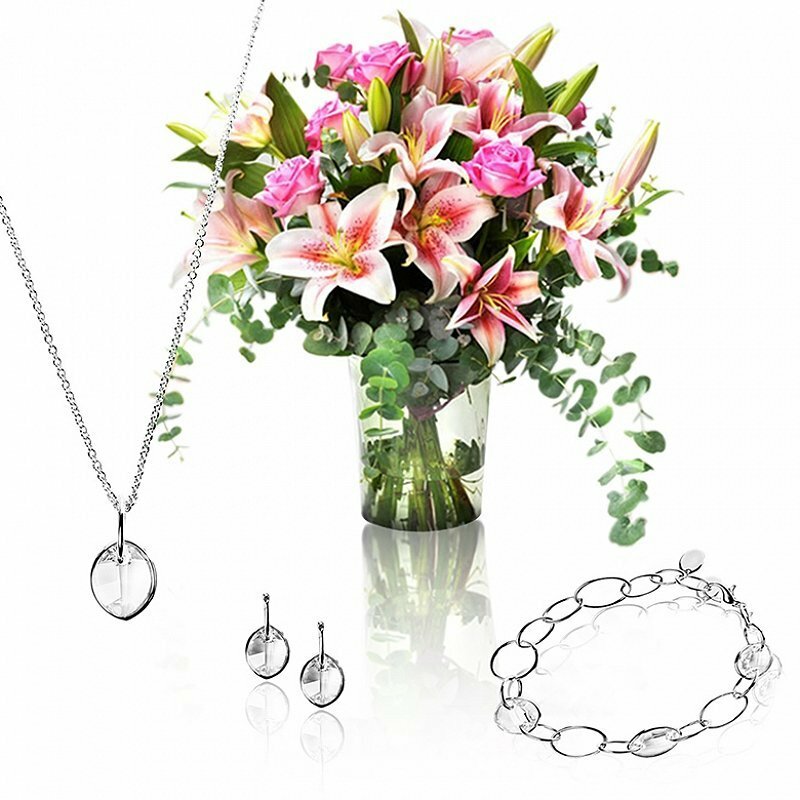 We've paired together flowers and jewelry into chic combinations that a lucky loved one will adore. We all know a woman who always looks sharp and put together. Our catalog of gifts, combining the natural beauty of flowers with the shining elegance of jewelry is the absolute perfect gift for a woman like that. Whether it is for an anniversary, a wedding, a birthday or perhaps you just want to give a gift just because you love them, FloraQueen’s selection will ensure that you find the perfect gift to send to the perfect person. Our international flower delivery service ensures that once you have selected the perfect combination of jewelry and flowers you can rest assured that it will be delivered right to the door of the lucky recipient. Jewelry is the perfect option when it comes to anniversaries, Valentine’s Day or birthdays. A way to show a woman how much she means to you. This combination of two classic gift options is sure to please whomever you decide to bestow it upon. You can choose a classic design or a more modern style, whichever you think would bring the most joy to your lucky lady. When you think of a bouquet of pure white lilies or a fine bracelet with shimmering Swarovski jewels what comes to mind? Perhaps you see a timeless woman, one with great style and taste. A woman who would enjoy the sweet scent of fresh flowers in her house at all times while staying stylish and chic in her day-to-day life. With our catalog of combined flower bouquet and fine jewelry gifts, you are guaranteed to find a gift that will surpass all her expectations. The next time you are thinking to buy a special gift think of something that she will be able to cherish for years to come. An item that she will be proud to wear and to show off to her friends and colleagues. Nothing does that better than these combinations. They are able to say what words may not be able to, they express your feelings and your emotions, your love and your appreciation.